Fehintola Omidele, who mysteriously went missing for four days, says she disappeared because the pressure of her residency was just too much to handle. Friends and family seriously feared for the safety of 25-year-old Fehintola Omidele after she failed to report to work on Monday, Dec. 1, reports Click2Houston. 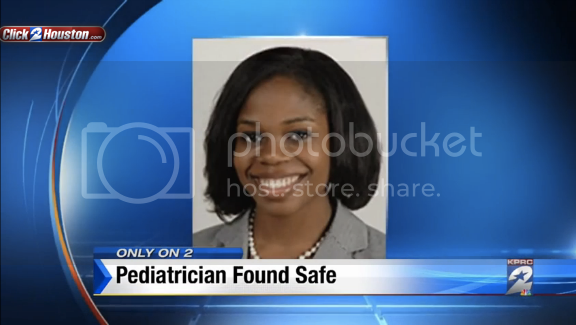 The Houston resident didn't show up for her job as a pediatrics resident physician interning at Children's Memorial Hermann Hospital. Her car, cellphone and purse were also unaccounted for. She was reported missing on Dec. 3, and search teams spent several days looking for the woman. But she was thankfully found alive and well in El Campo on Sunday, after she approached a Walmart worker at a Subway inside the store and asked to borrow her cellphone. Omidele first called her sister to tell the family where she was. And she then told the phone owner that the pressure of the residency was too much for her. Omidele's father said there were "no words" to describe how he felt when told that his daughter was safe.